EDS recently took part in a scheme to raise reservoir safety awareness among primary school children in North Wales. 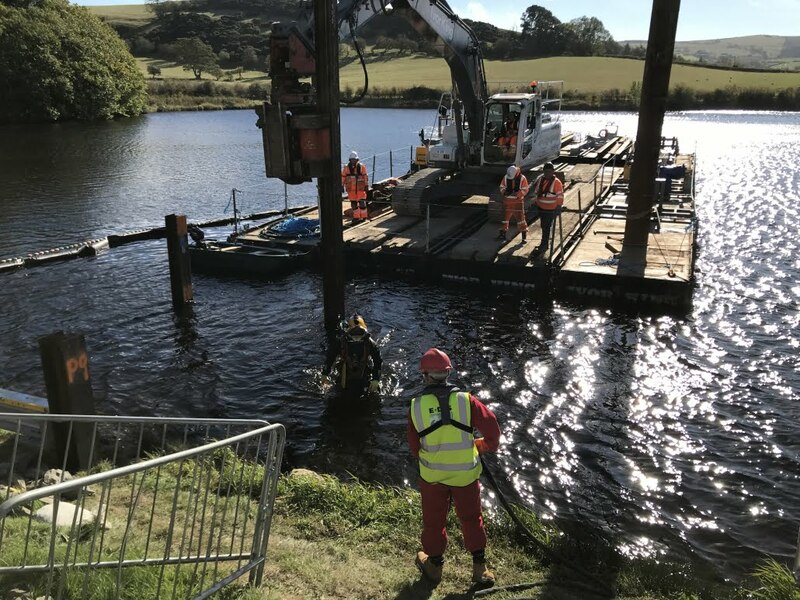 A class of 24 children aged between 5 and 11 recently visited a Dam refurbishment project, to learn about the importance of safety when visiting reservoirs. 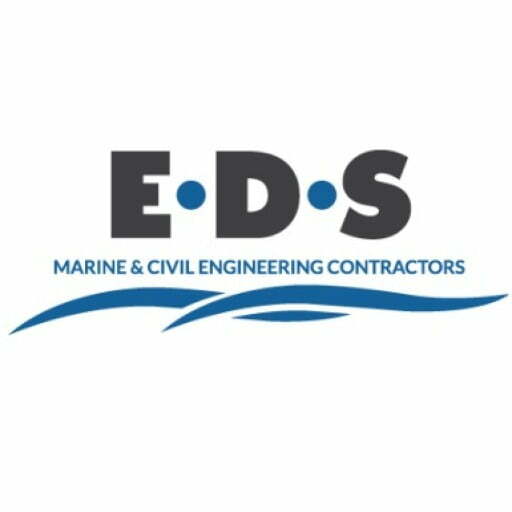 An EDS client is currently working to upgrade the Dam spillway, siphon and scour pipework at a North Wales reservoir. The project involves constructing two new 300mm siphon pipes from the inlets within the reservoir through the dam core and down the dam face connecting to the two existing water mains supplying a Water Treatment Works. 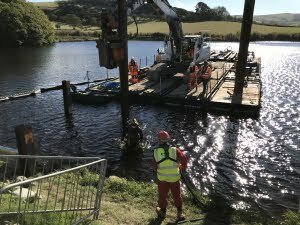 EDS were asked to install the pipework for the new siphon system at the reservoir which included marking up and assisting with the installation of the H-Piles, pre-fabricating and installation of the cross members and installation of the siphon pipework to the frames. 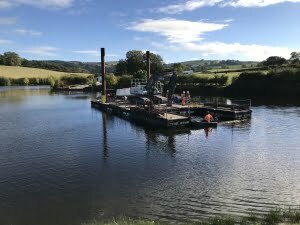 A silt curtain was installed along the line of the existing siphons, this was to prevent mobilised silt entering the water treatment works and also acted as a physical barrier to prevent the diver coming in close proximity with the live siphon. When the children visited, they heard from the Assistant Project Manager on the Dam Refurbishment project, about the hazards of construction sites and reservoirs. 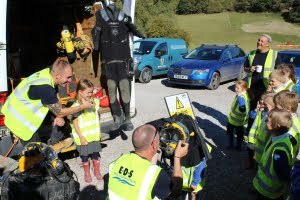 EDS were happy to meet the children and let them have a close look at the diving equipment. This included a dive panel, HP cylinders, HP compressor, umbilical’s, dive hats, Broco equipment and hydraulic equipment. The children were encouraged to try on the diving helmet for themselves and ask questions in regards to what it’s like for the diver underwater by talking to their friends ‘on shore’ through the dive communications system. 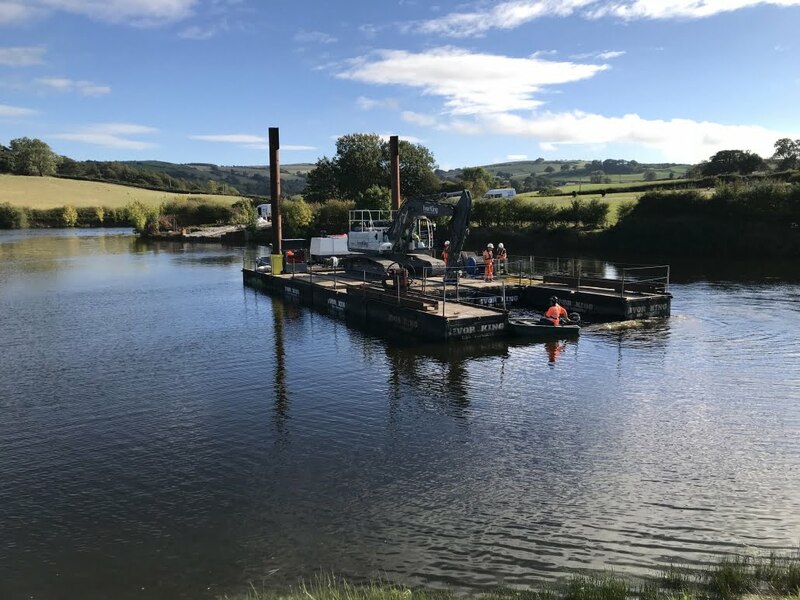 The project manager said: “We felt it was important to engage with the school and give the children a better understanding of what we’re constructing on their doorstep and to drive home the reservoir safety message. As a project team we want to ensure people stay safe near where we are working and that we leave a positive legacy behind. The client even commented that if our teams diving careers didn’t work out, they would all make excellent teachers! We think our divers James, Ashley and Martin enjoyed the visit as much as the children did!